Hello. 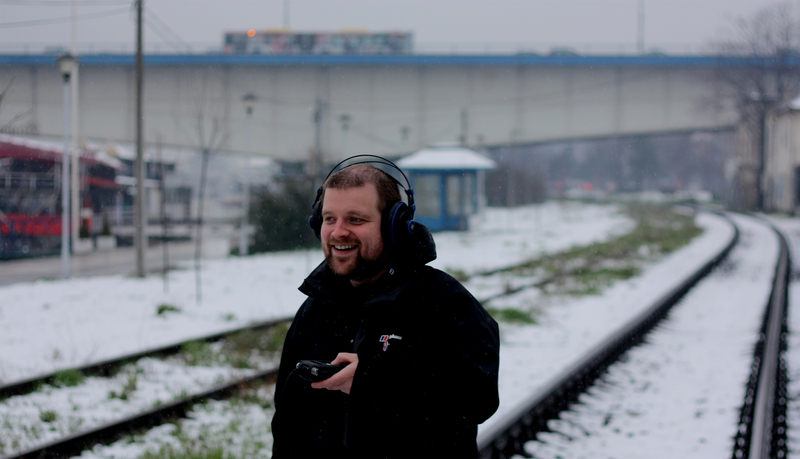 My name is Robin The Fog and I am a sound artist and radio producer based in London. My work largely falls under the broad term ‘Radiophonics’ and includes Field recording, radiophonic composition and documentary – it being my belief that the best work for radio encompasses and blurs the boundaries between these things. Over the past couple of years, my production work has included bespoke sound designs for several BBC Radio 4 dramas, numerous broadcast packages for Radio 4 and BBC World Service, as well as contributions to Radio 3’s Between The Ears, Deutsche Welle, ABC Australia, Monocle, Resonance FM and many more. My composition work, largely as founder member of the tape-loop project Howlround, has come increasingly to the fore over the few years; including a session for BBC Radio 3’s Late Junction, profiles in FACTmag, the BBC’s flagship tech programme ‘Click’ and 6Music’s The Freakier Zone; and airplay on Resonance FM, NTS Radio, WFMU and many more, including the Touch organisation’s highly respected series of Touch Radio podcasts. We’ve also collaborated with architecture magazine Camenzind Belgrade, been featured several times in The Wire, and performed live at a number of venues and festivals across the UK, Barcelona, Portugal, Denmark and the USA; including a recent tour with Distegration Loops legend William Basinski – perhaps my proudest moment! Howlround have produced five vinyl LPs to date as well as a split cassette, numerous compilation appearances and a number of site-specific sound installations across Europe. In my spare time I enjoy spending money I don’t really have on yet more records I don’t really need, old Penguin paperbacks, British Transport Films and stubbing my toes on the various bulky reel-to-reel machines placed precariously around my studio. I make an excellent cup of tea and look very nice in a suit. My three great loves and biggest influences are musique concrete, oldschool jungle and vintage Sesame Street, and it’s my dream to one day create some huge meta-work uniting them all.